​​Sometimes it’s for you. Sometimes it’s for your child, a family member or friend. Sometimes it’s for our broken world. We’ve ALL been there…We’ve Cried Out to the Lord. Learn to look up when everything around you is falling apart . Call out to the Lord in humility and brokenness. Yield fully to the working and empowerment of His Spirit, rather than rely on your own power for spiritual transformation. Enter into bold and believing prayer for yourself, loved ones and the world around you. ​This series seeks to encourage followers of Jesus in living a lifestyle of loving God and others, loving his Word and his mission to see others follow Him. This resource will help you cry out to the Lord. This resource will reset your walk with God! 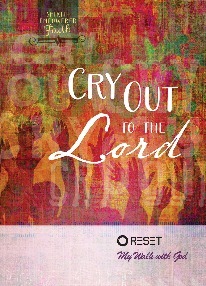 Cry Out to the Lord is available through the Great Commandment Network's online store: You will be directed to Relationship Press for this purchase. ​​JESUS IS PRAYING, BUT ARE WE PRAYING WITH HIM? 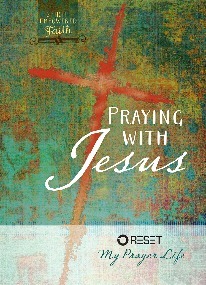 Praying With Jesus is available through the Great Commandment Network's online store: You will be directed to Relationship Press for this purchase. Praying with Jesus includes articles from some of the most notable authors of our day: Sammy Rodriguez, Ronnie Floyd, Dave Butts, Stormie Omartian, Jack Hayford, Josh McDowell, Mark Batterson, Jeff Bogue, Doug Stringer, George Wood, Harry Jackson, Mark Williams, Steve Gaines, Jared Pingleton, Jedd Medefind, Michael Lewis, Mark Dance, Joe Battaglia, Steve Hawthorne, Jeremy Story, Terri Snead, and Alton Garrison. "What would a contemporary spiritual awakening look like in America...in our church and culture." A Great Spiritual Awakening depends on focused prayer and decisive, united action! Will you join millions across America as we seek His face for revival? Major Christian leaders from across the faith community united to consult and seek God, for the American church and culture in 2008. They met in Northampton, Massachusetts, the epicenter of American's First Great Awakening. From that time of seeking God they were given 20 indicators that will signal a new Great Awakening and revival in America! 10 Indicators in the church and 10 Indicators in the culture! This Prayer Guide addresses these indicators and provides voices from key leaders who will ignite a passion for the body of Christ to unify in prayer as we prepare our hearts, our churches and our nation. 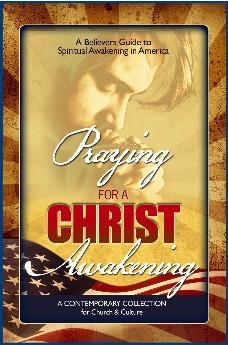 This is a PRAYER GUIDE for Believers to pray for A Spiritual Awakening in America! Join us in praying for a CHRIST-Centered Awakening!